I had the great pleasure of speaking with MP Jean Crowder a few months ago for an upcoming Station Magazine interview. At the end of our interview, she asked me if I was going to run for council. I said I hadn’t yet decided, at which point she gave me advice about gathering a strong team (check! ), being myself (check! ), and tips for getting my name out into the community (working on it!). When she brought up door-knocking, I cringed. In that moment, I wouldn’t have believed, months later, I would be walking up someone’s driveway to interrupt their peaceful day to encourage them to vote for me. I would have believed even less that I would enjoy it. 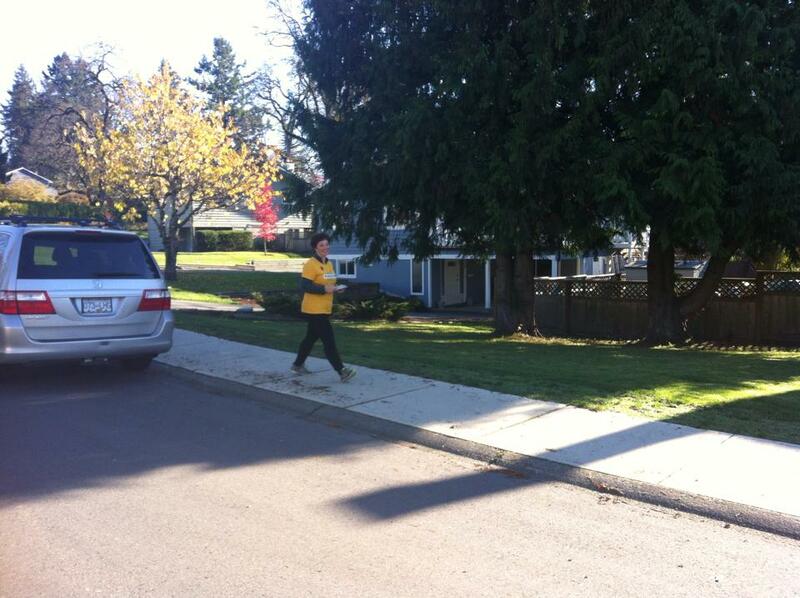 Sure enough, halfway around the Timbercrest neighbourhood today, I caught myself smiling. I was having a good time. It helped that the sun was shining, and that I wasn’t out there alone (thank you Mona Kaiser!). But the highlight of going door-to-door is the conversations with residents. Some people just answer the door, take the brochure, thank me, and that’s it. Few people reject my overture; they are often the most entertaining and insightful exchanges. But the meetings I like best are the ones when the resident settles into a discussion—sometimes rant—about council. By the time I left that neighbourhood today, I knew more how those residents felt about the drawbacks in our recycling program, budgeting issues, the relationship between council and staff, staff salaries, our relationship with First Nations, roundabouts, water usage, communications from the municipality, and taxes. Other communities have been just as inspiring. Funny that we only do this in the campaign season. Random Acts of Door-knocking (RAD) should be a thing. Council members should hit the pavement in the years between campaigns. What better way to connect with the people, understand the problems, and hear the (often) brilliant ideas our residents have about how to manage the municipality? 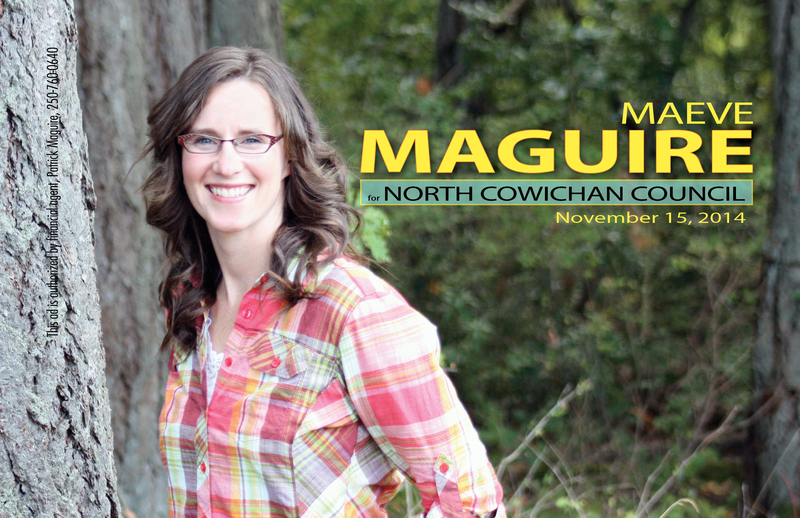 November 12 @ North Cowichan Municipal Hall. I thought the same about RAD when Helen was out supporting someone for election. Have you asked current/ past councillors, why they don’t? Might be insightful cuz RAD is a good idea.